MASTER OF FURNITURE LTD. understands how you feel about your antiques and fine furniture. Our goal has always been to provide customers with the highest quality workmanship and service. We pride ourselves on our exceptional experience and diversity. We offer custom refinishing, expert repairs, restoration, regluing, caning, rush and splint. We also do "on premises" duplication of spindles and turnings. We feature painted, faux, distressed, and gold & silver leaf finishes. 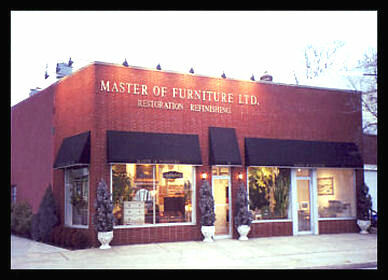 Master of Furniture Ltd. is a Long Island based company servicing the entire tri-state area since 1985. We have grown steadily over the years by adhering to the goal of complete customer satisfaction.